The Carpenters Group Fiji Limited is again reassuring the public that the structural integrity of its MHCC building in Suva has not been compromised. 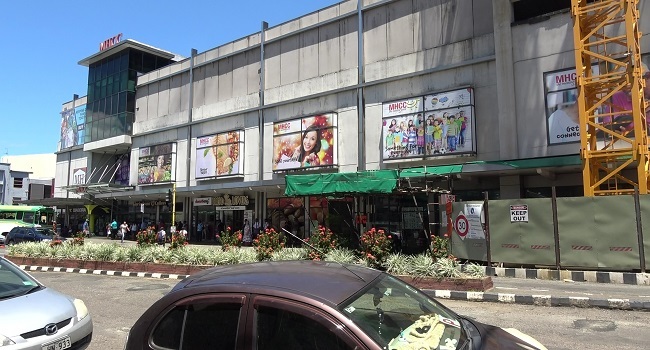 Group retail and Marketing Director, Kunaseelan Sabaratnam confirms that a thorough inspection of the building was conducted a month ago, deeming it safe. This follows a recent string of concerns raised by the public to FBC News regarding new leaks and cracks noticed on level 1 of the building. A staff of one of the retail stores in the complex says they have shifted stock inside as they allege a new part of the ceiling is cracked. However, a month ago the company’s overseas engineers conducted a joint inspection with the Suva City Council and the Ministry of Employment’s Occupational Health and Safety unit. Following which the complex was declared safe. Principal Engineer on the project Brian Jacob says the structure of the MHCC building and that of the on-going construction of a 16 level tower next to it has not been compromised. Meanwhile, the Suva City Council says the construction has been approved for 16 new levels. Some horizontal movement is expected given the existing structure and the on-going construction.